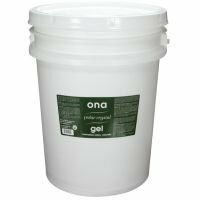 ONA Gel is saturated with ONA liquid concentrate; gardeners simply remove the lid from the jar or pail to expose it to the air and remove odors from the source. Choose from original, professional-strength ONA PRO, or Fresh Linen scent. View More In Solids & Liquids. If you have any questions about this product by Ona, contact us by completing and submitting the form below. If you are looking for a specif part number, please include it with your message. Rubbermaid Commercial - Sebreeze Odor-Absorbing Fragrance Cassette Citrus Breeze Gel 1.25Oz 6/Carton "Product Category: Breakroom And Janitorial/Cleaning Products"
Air Wick - Scented Oil Refill Fresh Waters .67Oz 2/Pack "Product Category: Breakroom And Janitorial/Cleaning Products"